Can't be bad being a dog, can it? 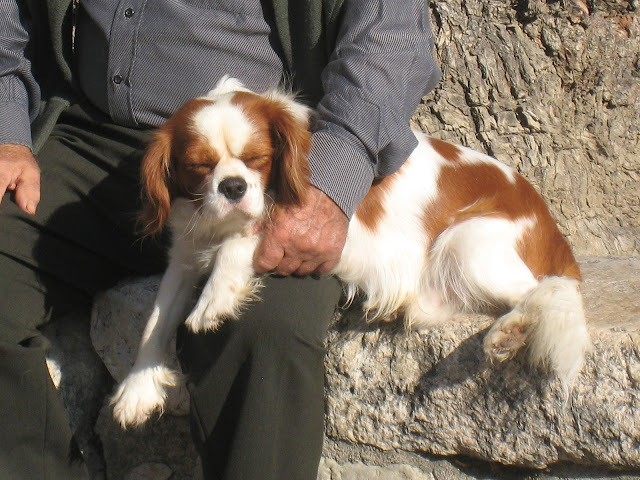 This little chap looks so contented, he's fallen asleep in his master's arms under the old elm tree of Gorbio. Old indeed - it was planted in 1713. If you want to see a photo of this Cavalier King Charles Spaniel awake please click HERE. Adorable! I love sleepy pooches.